Clark Gregg as Phil Coulson in Marvel's Agents Of S.H.I.E.L.D. His power: No superpowers, but he has an array of cybernetic hands that can do all sorts of things, including crush metal. His story: Phil Coulson has been a part of the Marvel Cinematic Universe from the beginning, first appearing in Iron Man as the longtime S.H.I.E.L.D. agent who makes contact with Tony Stark. He then returns to watch over Stark in Iron Man 2, and deals with the arrival of Thor (and his hammer, Mjolnir) on Earth in Thor. Aside from further appearances in the One-Shot short films “The Consultant” and “A Funny Thing Happened On The Way To Thor’s Hammer,” his last time in a film was The Avengers, where after helping bring the team together, he’s killed by Loki. But you can’t keep a good man down, and Coulson returned to life in Marvel’s Agents Of S.H.I.E.L.D., where he leads his own S.H.I.E.L.D. team. It was eventually revealed he was brought back against his wishes via a painful and horrific process known as Project T.A.H.I.T.I.—a project he used to run, but his memories of the entire experience were wiped clean in an effort to preserve his sanity. The process involved Kree blood, and when he learned the truth, the strange visions he was having eventually led him to the location of the Terrigen Mist on Earth. In the wake of the collapse of the organization following the events of Captain America: The Winter Soldier, Nick Fury appointed Coulson the new director of S.H.I.E.L.D., leading to the pursuit of the Inhumans led by Daisy Johnson’s mother, Jiaying, and resulting in Coulson losing his left hand. Most recently, Coulson had to deal with the emotional fallout from killing Grant Ward in cold blood, which caused the original Inhuman Hive to possess Ward’s body, until Coulson’s project of recruiting Inhumans to S.H.I.E.L.D. paid off when they defeated Hive. 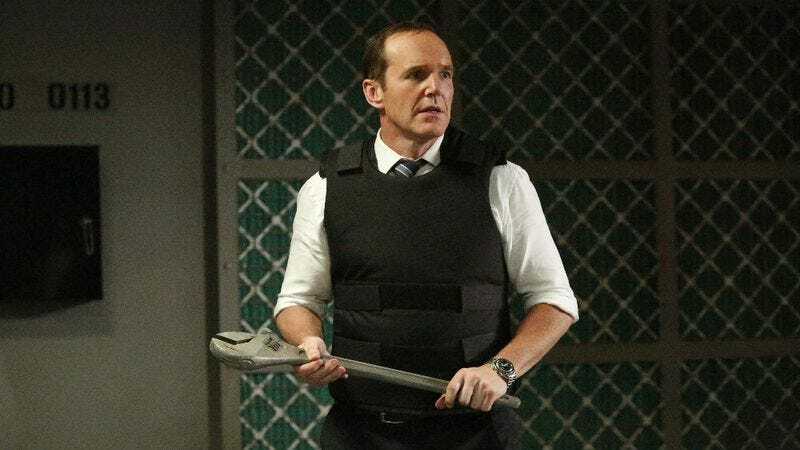 Following those events, season four began with Coulson no longer head of S.H.I.E.L.D., as the government wanted a public face for the agency that people knew and trusted. However, it was soon revealed new director Jeffrey Mace was a fake Inhuman, powered by government chemicals, leading Coulson to reclaim the top role at S.H.I.E.L.D.—behind the scenes, anyway. Unfortunately, shortly thereafter he was kidnapped by duplicitous scientist John Radcliffe and plugged into a virtual-reality program called the Framework. He’s a schoolteacher in there. It’s weird. Currently, Phil Coulson is: Trapped in a VR simulation of reality. Where will we see him next? Marvel’s Agents Of S.H.I.E.L.D., in its fourth season.